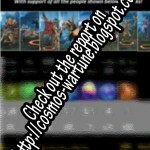 This article will help you to determine the value of the war chest, and also to decide what to get for the war remains. Prices are calculated based on this table (will open in a new window). Looks like will crystal is the best deal. 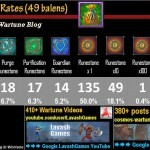 The value of the war chest. 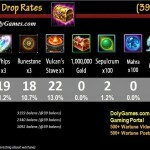 I use the same method, explained here, at holy forge chest analysis. 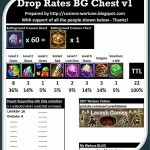 Please note that I do not have yet enough statistic of drop rates, so I just assumed the chances are the same as for other chests. A slightly better deal than the holy forge chest. I would say if there is a big spender event, it worth buying, however, as Cosmos pointed out to me after I wrote this article, according to aeria games forum, there will be a gem synthesiser event between 28th and 30th of September, where they give out war packs as rewards. 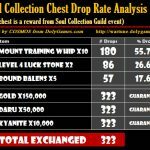 So even if the chest is an okay deal, do not buy it – you will get plenty of them for free, hopefully.